Page 1/?? 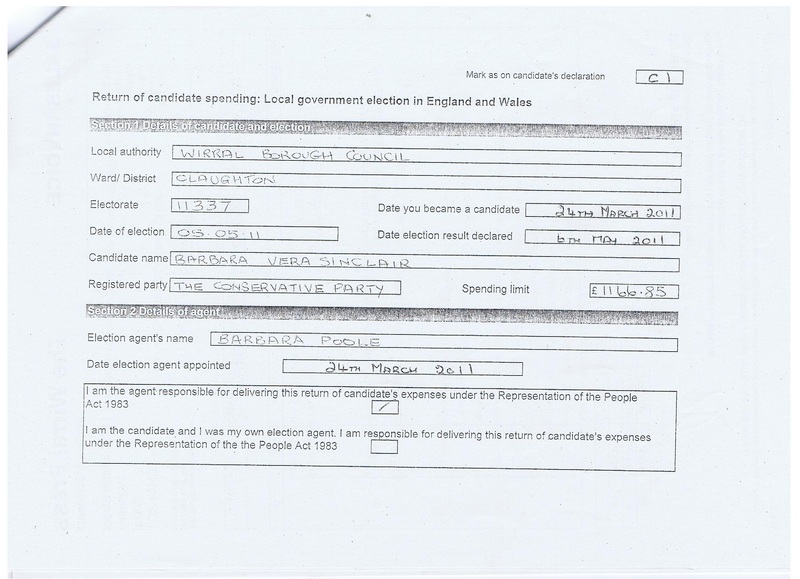 Election expenditure form for election to Wirral Borough Council. Claughton ward. Barbara Sinclair. 2011. Original form text in black, handwriting in red here (for emphasis) but not on B&W photocopy is in black.